Lincoln LS engine used is now part of the expanded inventory of engines that are carried online by the GotEngines.com company. These genuine preowned motors can now be purchased online or through telephone contact with assistance from engine specialists. Ford relied upon its own Duratec technology and Jaguar development to produce the V6 and V8 engines inside the LS vehicles. The Lincoln brand of the Ford motor company continues to gain ground in the luxury vehicle market due to specific engine types used. The GotEngines.com company now announces its acquisition of Lincoln LS engine used inventory online at http://www.gotengines.com/blog/engine-news-tips/buy-engines. This company is now selling these preowned motors for and opening sale price. “The Lincoln vehicles are part of the luxury types offered globally by Ford,” an engine specialist from the GotEngines.com company said. Two engine types have been used successfully in the LS series to market this vehicle to different consumers. These two variants are now among the used motors for sale to the public online. The standard three-year company warranty policies in effect are applied to these preowned motors. The Got Engines company has made multiple changes to improve the ways that its buyers access its inventory online. As one effort to deviate from traditional postings of pricing, this company built its own database that is accessed by engine buyers when researching foreign or domestic builds. The Ford, Lincoln, Chevy, Jeep and other top brands carried for sale can viewed using this system. Consumers interested in following the latest inventory additions and company policy changes can now do so on the company website at http://www.gotengines.com/blog. Company representatives now manage this blog daily and post relevant information for each consumer before used engine purchases are completed. 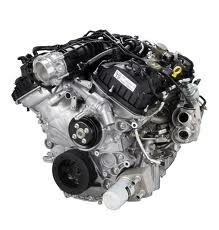 The GotEngines.com company distributes its discounted automotive engines from its warehouse in the United States. Industry specialists started this company and now all sales are processed for consumers through the online portion of the company engines website. Automaker brands that are represented in the inventory currently offered for sale include Ford, Chevy, Dodge, Jeep, Chrysler, Honda and Toyota. The GotEngines.com company now supplies most makes and secondary models of vehicle engines that are used in the North American auto industry. This company is currently shipping its engines without extra costs for freight for each processed order.